We are delighted to announce the launch of Birkbeck’s Centre for the Study of Internationalism new website. ‘Internationalism’ can refer to a number of very different ideas and practices: the search for intergovernmental agreements and conventions; the practice of international assembly; the projection of national agendas across the globe; the transfer of ideas, resources, objects or people across national boundaries. These different models of internationalism each draw on different intellectual and political traditions, and in practice are shaped by different constellations of foreign policy objectives, economic policies, humanitarian concerns, and the priorities of self-governing professions. The Centre for the Study of Internationalism takes a broad view to make sense of internationalism in its various guises, in the past and present. It provides an intellectual home for researchers at all stages in their careers who are interested in internationalism, broadly conceived. The Centre brings together a lively community of researchers from a range of disciplines, including history, the political, legal and social sciences, economics, languages, philosophy, and other disciplines, and to formulate agendas and questions that can stimulate further work. 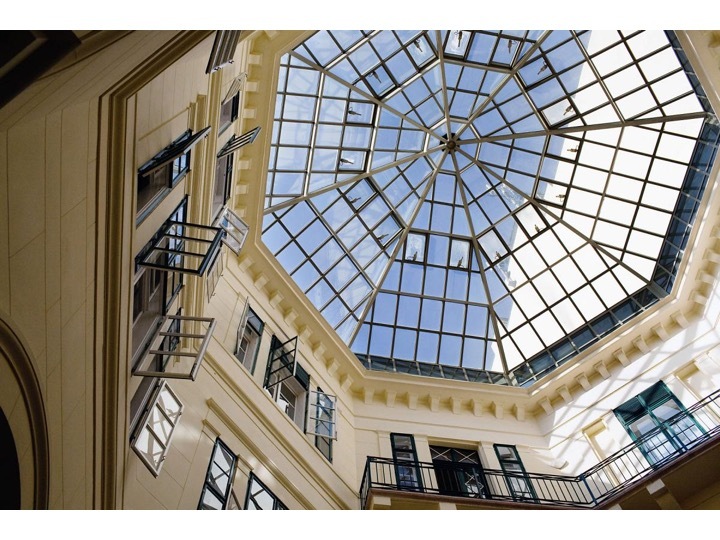 The Centre also hosts grant applications and fellowships. For more information, visit the Centre’s website or follow the Centre on Twitter and Facebook. On 17th January, the Centre for the Study of Internationalism (Birkbeck) and the Rethinking Modern Europe seminar series (IHR) will host Dr Elidor Mëhilli, previously a visiting fellow with the Reluctant Internationalists and now Assistant Professor of History at Hunter College of the City University of New York, to launch his book, From Stalin to Mao: Albania and the Socialist World. The evening will see Elidor introduce his book with a short lecture, followed by discussion led by Dr Alessandro Iandolo (University of Oxford) and Dr Julia Lovell (Birkbeck). This will be followed by a drinks reception. The event is free and open to all, however registration is required through Eventbrite. Elidor has produced a groundbreaking history of communist Albania that illuminates one of Europe’s longest but least understood dictatorships. From Stalin to Mao, which is informed throughout by his unprecedented access to previously restricted archives, captures the powerful globalism of post-1945 socialism, as well as the unintended consequences of cross-border exchanges from the Mediterranean to East Asia. After a decade of vigorous borrowing from the Soviet Union―advisers, factories, school textbooks, urban plans―Albania’s party clique switched allegiance to China during the 1960s Sino-Soviet conflict, seeing in Mao’s patronage an opportunity to keep Stalinism alive. Mëhilli shows how socialism created a shared transnational material and mental culture―still evident today around Eurasia―but it failed to generate political unity. Combining an analysis of ideology with a sharp sense of geopolitics, he brings into view Fascist Italy’s involvement in Albania, then explores the country’s Eastern bloc entanglements, the profound fascination with the Soviets, and the contradictions of the dramatic anti-Soviet turn. 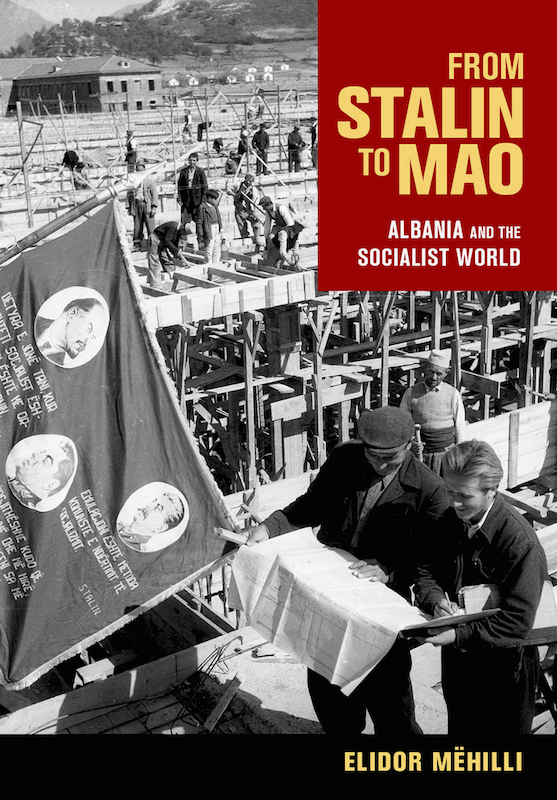 Richly illustrated with never-before-published photographs, From Stalin to Mao draws on a wealth of Albanian, Russian, German, British, Italian, Czech, and American archival sources, in addition to fiction, interviews, and memoirs. Mëhilli’s fresh perspective on the Soviet-Chinese battle for the soul of revolution in the global Cold War also illuminates the paradoxes of state planning in the twentieth century. 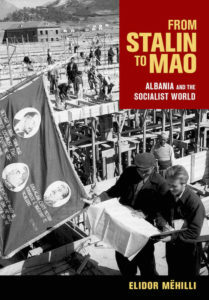 “For the first time, a source-based history of Communist Albania, the little eastern European country that defied, first, its Yugoslav neighbours, then its Soviet sponsors, and finally its Chinese protectors, only in order to build, by its own efforts, one of the world’s most sectarian and cruel Stalinist dictatorships. It is a remarkable tale, well told in this book.” – OA Westad, Harvard University, author of The Cold War. This essay was originally published as part of the International Social Science Council Forum on Experts: Past, Present, Future, commissioned and edited by Anna Barbara Sum and Frank Trentmann. Posts in the forum all deal with expertise and experts in a variety of political, social and economic areas and arenas from the 19th century to the present, and from multi-disciplinary perspectives. The editors’ aim is to foster exchange between historians, social scientists and policy experts. Their introductory post can be found here. Jessica Reinisch’s original post is available here. The debate about the relevance of experts in contemporary democratic societies is unlikely to stop any time soon. From some vantage points, the challenges to “expertise” seem to represent a very fundamental division. On one side are the experts, inherently elitist and anti-democratic, secluded in their ivory towers, attempting to protect their privilege and authority and arrogantly insisting on their superiority, while refusing to acknowledge their biases. On the other are the uneducated masses, resenting, above all, their marginalisation and being told what to do, or simply unsatisfied with their lot and looking for someone to blame. Nor are these caricatures simply a product of the anti-expert polemic unleashed last year by Michael Gove and his allies. This stark divide reflects a growing gap between voters who have university degrees and those who don’t, as David Runciman and others have pointed out. It is further reinforced by a number of experts’ claims that their expertise is a matter of “pure insight”, aloof from and unpolluted by mere material or political concerns. Both sides tend to agree that there is a gulf of difference between them. However, this polarised debate makes it easy to forget that experts are, in fact, a far from homogenous group, their authority and status secured by a range of factors. History can help to remind us of the fragility and precariousness of the status of experts and the politically-charged controversies in which they have always been involved (and thrived on). Experts derive their authority from the contexts in which they operate, and when those contexts change, they tend to lose their crowns, at least temporarily. In this post I want to juxtapose current concerns about expertise with those that arose about one particular international organization, important but long defunct, in which technical experts played a crucial role. 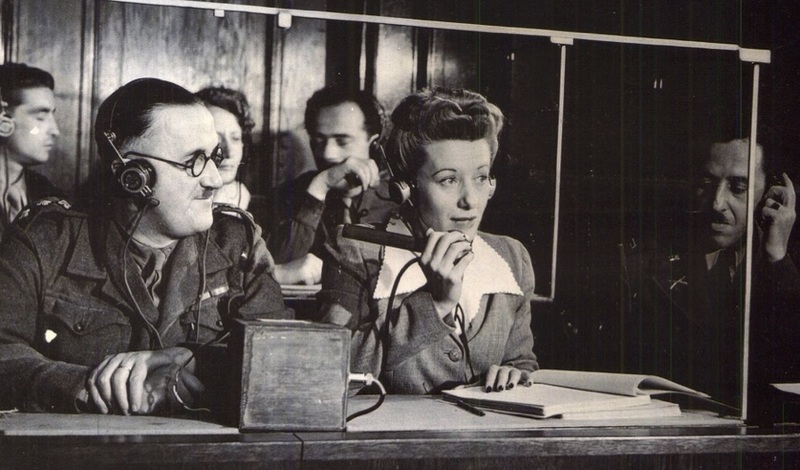 The United Nations Relief and Rehabilitation Administration, UNRRA in short, was one of the first and most ambitious agencies created by the wartime Allies (US, UK, USSR) during the Second World War. UNRRA was an inter-governmental organization, initially composed of 43 member countries, who together agreed its enormous brief: to assist the rehabilitation of nations liberated from Nazi control by bringing emergency food, clothing, medicines, farming and building supplies; and to organize the return home of the many millions of Allied nationals displaced by the war and the Holocaust. UNRRA was supposed to achieve all this with the help of carefully negotiated agreements for the international pooling of donations and supplies, by which the countries most damaged during the years of foreign occupation and war could begin to rebuild themselves with help from those more affluent and secure. In practice, this meant that the United States was UNRRA’s biggest funder, contributing around 73% of its huge budget. 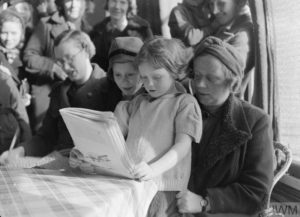 Between 1943 and 1947, UNRRA delivered over 4 billion dollars worth of supplies (which made it the most generously funded refugee and relief programme of its time). At its peak it had a staff of almost 25,000, who distributed aid in 16 so-called “receiving” countries, 12 of them in a belt across southern, central and eastern Europe, where the war had left its most visible traces. Experts, often referred to as “specialists” or “technicians” in the organization’s files, formed the backbone of UNRRA’s efforts. Without its economists, agricultural and industrial specialists, shipping experts, pathologists, medical officers, sanitary engineers, welfare officers, public relations officers or communication experts, to name but a few, UNRRA would not have been able to do very much at all. In fact, the relief and reconstruction project at the end of the war coincided with a high point of technical experts’ importance and influence. In the wake of the biggest and bloodiest war in history, many politicians — US President Franklin D. Roosevelt among them — as well as the experts themselves, argued that there was no group of people better suited for laying the foundations of a new, peaceful world. This new world would be organized rationally, on the basis of scientific and technological insights, and secured by diplomatic instruments that would prevent irrationality, political excesses and war from ever taking root again. In other words, the answer to future peace and well-being lay in technocracy — a coalition of non-political technical specialists with benign democratic and internationally-minded leaders. Within UNRRA, not all kinds of expertise were equally valued. Its Washington-based economists were the undeniable expert heavyweights, and frequently outranked and overrode the, say, welfare officers or transport specialists in the field. Questions of age, nationality, gender, geographical location, social status and connectedness all played a role in how well they were paid and how much influence they had in practice. But in spite of clear hierarchies, UNRRA’s various specialists tended to share a sense of professional mission, and a belief in the importance of training, skills and the promises of technocratic government. And yet, UNRRA and its experts were far from universally trusted or cherished. Although it was a self-proclaimed non-political, ‘technical’ agency, eager to side-step areas of political controversy, it was in fact inextricably entwined with the political debates of the mid-1940s about post-war reconstruction, the nature of the state, international governance, and the global roles of the United States — and there were plenty of people who disagreed with what UNRRA set out to do and how it went about it. To name but one example: UNRRA’s mandate enshrined the principle of national sovereignty and the importance of healthy, rebuilt nation-states, tied together in a system of multilateral agreements. UNRRA teams would enter countries only if invited by the national authorities to do so. Their explicit instruction was to support the work of the receiving countries’ native officials. 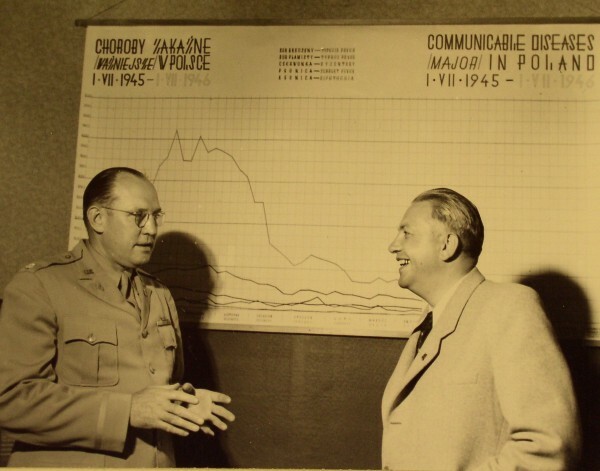 However, barely a year into its post-war field work, it was precisely this focus that irked UNRRA’s critics the most. 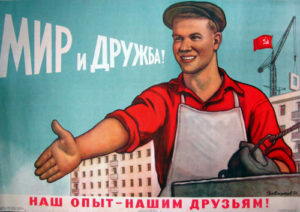 Amid the increasing tensions between the United States and the Soviet Union, American commentators in particular attacked UNRRA as pandering to Soviet aims by propping up apparently ‘hostile regimes’ on the wrong side of the Iron Curtain, and thereby failing to uphold the moral tenets of its main funders, chiefly the United States. UNRRA’s aid, in other words, was helping to rebuild the wrong kind of nation-states. Challenging UNRRA’s mandate was akin to challenging its experts’ authority and ability. Indeed, these protests about UNRRA’s work in Eastern Europe were accompanied by a growing chorus of accusations about the apparent incompetence of UNRRA’s staff, its participation in black market activities, and espionage. In the bipolar world of the Cold War, specialists who refused to take sides had become political liabilities. How could UNRRA’s experts have gone from being saviours of the world in 1943 to posing a threat to Western values in 1946? The answer lies in the importance of the context in which any expert’s authority is constructed. The end of the war-time alliance brought with it the end of a certain vision of apolitical technocracy and multilateralism as represented by UNRRA. However, it was not the end of the experts themselves. In fact, what is perhaps most striking in the history of experts is not just that their status is tied to certain political priorities which can come and go, but also the flexibility that enables many of them to operate in very different political settings. 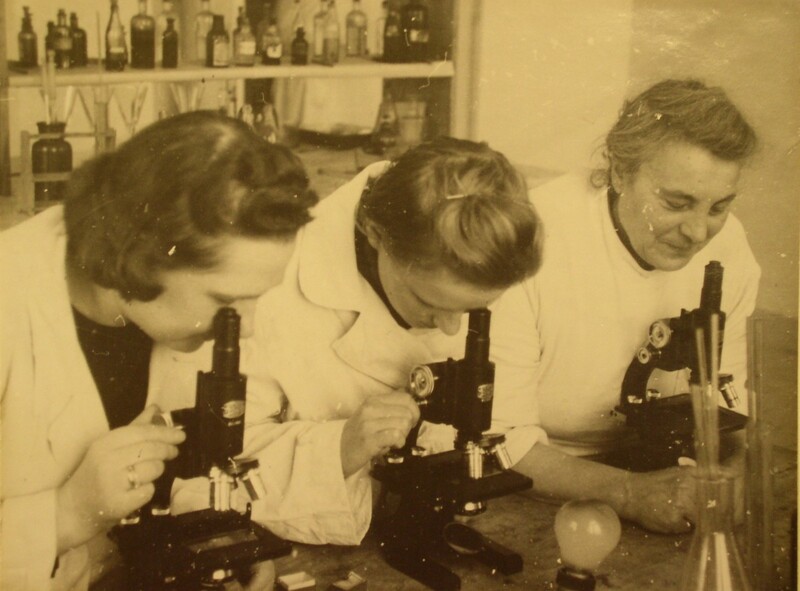 After UNRRA disbanded in 1947, many of its experts signed up to work in the new international organizations that were better than UNRRA at conforming with Cold War requirements — among them the World Bank, UN Development Programme (UNDP), World Health Organization (WHO) and United Nations High Commissioner for Refugees (UNHCR) — and found plenty of new opportunities to apply their insights. The day was structured around three sessions, each grouped around the different perspectives of people creating, selling and using children’s books. The first session featured school teachers and librarians. Laura Cernis from Belham Primary School spoke on her use of Francesca Sanna’s debut book, The Journey, in teaching young children empathy and understanding. She noted that in England there is currently no expectation in the curriculum to teach about refugees, instead it is expected that teachers teach ‘tolerance’ more broadly. Following this, Michael Margerison and Matt Imrie from CILIP’s School Libraries Group, outlined the role of school libraries and librarians in providing resources on refugees and migrants for children. Both noted that school libraries often enjoy more freedom when selecting resources than teachers do, but also that their positions were very dependent on their school’s resources. All three speakers also highlighted the difficulties they had faced in obtaining suitable texts on refugees and migrants for young children, with Michael and Matt commenting in particular on the difficulty of finding relevant titles between the stages of picture books and young adult fiction, equivalent with key stages 1 and 2. 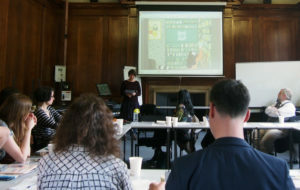 The second panel of the workshop was devoted to injecting the perspectives of authors and illustrators into discussions. Annemarie Young began by sharing details of her research for the creation of the Refugee Diaries series. 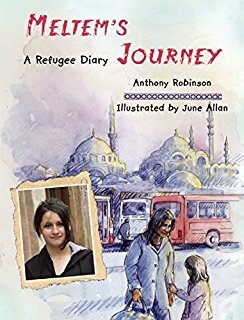 This series of four books focused on the true stories of children who came to Britain to escape persecution and violence. Annemarie noted that her research included interviews with over fifty refugees undertaken in conjunction with the Red Cross and in her talk, she discussed some of the challenges she encountered during this process. June Allan then spoke about the process of illustrating the books, outlining the research involved and the artistic methods adopted. She noted how unusual it was for both photographs and impressionist illustrations to be featured alongside one another like they are in the series. Subsequent discussion focused on the use of the series as a teaching resource and the importance of remaining true to the language and narratives used by the children when interviewed. The remainder of the afternoon was devoted to discussion of the publication and marketing of children’s literature. 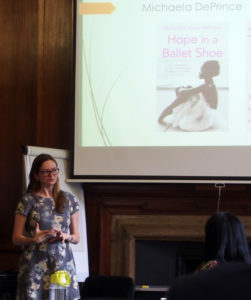 Hannah Love, Children’s Publicity Manager at Faber & Faber, talked about how books dealing with refugees can be marketed for commercial purposes, whilst still retaining ‘sensitivity’. She commented on a growing trend in children’s publishing to employ ‘sensitivity readers’ who comment on the authenticity and historical accuracy of draft book characters and plots. Following this, Romana Küpfer, editor at NordSüd publishing house in Switzerland, spoke on the editorial decisions taken before publishing the German-language edition of The Journey by Francesca Sanna and Mr Benjamin’s Suitcase of Secrets by Pei-Yu Chang. She noted that the German market had witnessed a significant rise in the number of children’s books which focus on stories of refugees; with roughly one hundred titles published in the last year alone. Both Hannah and Romana remarked on the current focus in children’s publishing on finding unusual stories that tell exceptional and diverse narratives that are different from what has already been published. Discussions that followed probed the concept of ‘sensitivity readers’ and the differences in reception of books focused on refugees across the Swiss, German, and UK children’s literature markets. The workshop concluded with a more general discussion of the opportunities and challenges currently facing practitioners seeking to broaden the field of refugee stories in children’s literature. Participants reminded the group that a growing number of resources and children’s books on refugees are now available. For an overview of some of the works discussed see here: we hope that this resource will prove useful for developing both teaching materials and greater awareness of the subject. At the very least, it is a reminder that the subject of migration and refugees has been developed in a body of recent, and not so recent, publications and that the question of how best to depict fact and fiction in refugee narratives for children remains ever prominent. 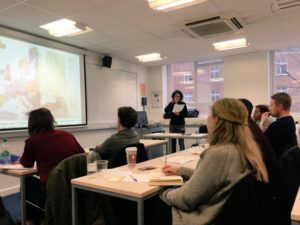 In November last year, the Reluctant Internationalists launched a History Teachers Network, based at Birkbeck College. 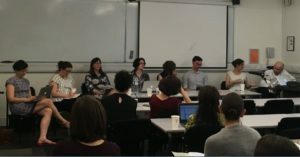 The Network is designed to provide an informal, social forum for secondary school teachers and teaching assistants who are currently studying at Birkbeck, or are alumni of the college. 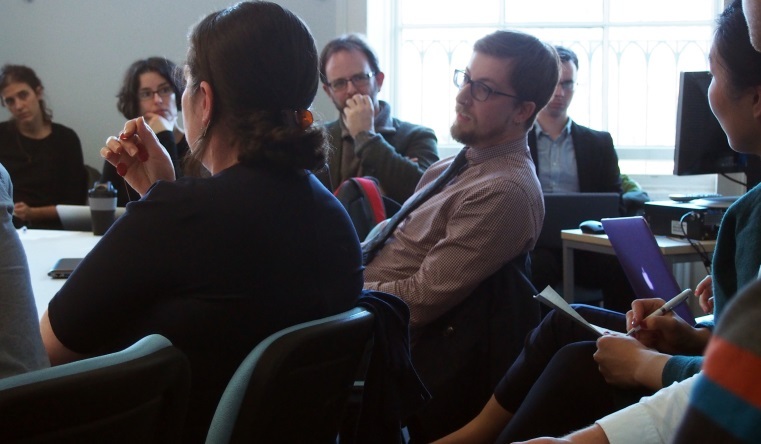 Following a successful first meeting late last year, the Network will convene again in June to discuss developments and plans for the academic year ahead. The meeting will take place on Tuesday 27 June at 6pm. The evening will provide an opportunity to meet over a glass of wine, discuss plans for the network and enable the project team to learn more about teaching pressures, experiences and resources. In addition, we are currently working with a web development team to create a new website for teaching the history of internationalism. This will include nine ‘chapters’ providing a historical overview, descriptions of key terms, links to further resources, podcasts and image galleries for use in teaching. We hope to present a selection of these resources and gather feedback at the meeting. A selection of podcasts from our conferences and workshops are now available to listen to and download. The recordings can be accessed via SoundCloud or through the central Birkbeck College iTunes channel. The podcasts available to download include Professor Helen Graham’s (RHUL) keynote lecture at the Crossing Borders: The Spanish Civil War and Transnational Mobilisation conference and panel discussions from the Debating the Cold War workshop held in 2016. In addition, panel and roundtable discussions from our workshop on Writing ‘Outsiders’ into the History of International Public Health are also available. More podcasts will be added in due course, including recordings from our final conference, Languages of Internationalism, in May. The Reluctant Internationalists research group is deeply alarmed by the law passed recently by the Hungarian government that will effectively shut down the internationally renowned and acclaimed Central European University (CEU) in Budapest. CEU has been at the forefront of research on nationalism, women and gender, history of science and medicine, and transnational history. Its diverse academic community, including students and staff from all over the world, has made significant contributions to these and many other academic fields and disciplines. CEU has taken a leading role in training several generations of students whose expertise has, in turn, greatly enriched not just Hungarian life. Members of this research group have benefitted from the unique resources offered by CEU in the region. All of us have collaborated and exchanged ideas with CEU faculty and students. We are proud to join the long list of academic institutions, Nobel laureates and individual faculty members in expressing our support for CEU and our conviction in its continuing relevance and purpose. The bill passed by the Hungarian government, which was not consulted with any stakeholders nor debated in parliament, severely threatens the freedom of academic research, and breaches law-making procedures. Therefore, we urge President János Áder not to sign the bill and to refer it to the Constitutional Court of Hungary. Shutting down CEU would be an unimaginable loss for Hungarian cultural, political, professional and intellectual life, as well as for regional and international knowledge and research, academic freedom, and a severe loss for democracy. The Reluctant Internationalists stand with CEU. Week eight of our Teacher Fellowship Programme, ‘The Cold War in the Classroom‘ in collaboration with the Historical Association, asked when did the Cold War end? In the following article, originally published for The Historical Association, Ben Walsh summarises the discussions from the final week of the online course. This was the final week of the online course in the Cold War in the Classroom programme. Fittingly, the teachers were looking at the historiography of the end of the Cold War and specifically the debate over exactly when the Cold War ended. Teachers were asked to look at an article by Federico Romero, a video of a discussion by the Council on Foreign Relations and also the Socialism Realised website and then review the question of when the Cold War ended. As to why the Cold War ended, there is a surprising degree of consensus amongst historians as to the factors at work, with more disagreement focused on the structural vs the contingent factors. With most historians, this again leads back to disagreement over the major factors why the Cold War started. If like the traditionalist interpretation you blamed Stalin and his ideology, then the Cold War could conceivably end with the appointment of a Russian leader who in many ways represented the antithesis of Stalin’s ideology. If taking a revisionist or post-revisionist viewpoint, then the end of the Cold War would be much more due to larger structural factors, such as the decline of the USSR economy, driven by the draining effect of global proxy wars and the failure to reform the economy in perestroika. It is further interesting to note that Gaddis, moving beyond the post-revisionist framework with We now Know and returning in sorts to a traditionalist viewpoint, believes the Cold War ended when the USSR moved beyond Stalin’s form of Communist ideology. All of these however, represent larger long-term structural factors (ideology, communism) and some, such as opposition to the USSR within the USSR could be traced back to Poland 1980, Czechoslovakia 1968, and even Hungary 1956. From the 2009 Council on Foreign Relations panel discussion titled “Why 1989? The Fall of the Berlin Wall and the End of the Cold War” it is interesting to hear all of the panellists discussing which historical actors were essential: Reagan, Gorbachev, or John Paul II. Most seemed to agree that Gorbachev was the most essential due to his willingness to ‘let’ the Berlin Wall fall. While this links into the larger structural factors, such as the move away from Stalinist Communism, it is also a useful reminder that historical actors do have a sense of agency and are not pre-destined to take certain paths and decisions. Archie Brown contends that the Cold War ended in 1989 with the collapse of communism in Eastern Europe. He links the collapse of communism in these countries to Gorbachev’s reversal of the Brezhnev doctrine in his 1988 speech to the United Nations. The collapse in the SU of communism was the logical consequence, he says, of the policies pursued by Gorbachev: the liberalisation of the Soviet political system, Glasnost and Perestroika. Brown argues that Gorbachev hoped the changes would strengthen the system and that when the August coup of 1991 failed, its collapse was inevitable. He disagrees with Michael Myer who believes that there were longer term trends which led to the collapse of communism and the end of the Cold War. Brown believes that the first half of the 1980s were completely different to the second and that 1985 was a turning point. Gorbachev’s role is also emphasized by Jacques Levesque who states that Gorbachev sought to reconcile socialism and democracy, thinking that it would be beneficial to socialism. Leffler’s review essay ‘The Cold War: What do “we now know”? is very thorough in its examination of Gaddis’ most recent interpretation in light of the new evidence available at the end of the Cold War. “What is so distinctive about Gaddis’s new book is the extent to which he abandons post -revisionism and returns to a more traditional interpretation of the Cold War. In unequivocal terms, he blames the Cold War on Stalin’s personality, on authoritarian government, and on Communist ideology. As long as Stalin was running the Soviet Union, “a cold war was unavoidable”.” Leffler 1999. Gaddis’s turnaround from post revisionism to an arguably orthodox view of the Cold War has been controversial and much criticised. Indeed, Leffler clearly sets out alternative views in his essay. In contrast to Gaddis for example, Zubok and Pleshakov have argued that “Stalin’s post war foreign policy was more defensive, reactive, and prudent than it was the fulfilment of a master plan.” It seems obvious to me that the fundamental cultural and ideological aspects of the Cold War run so deep that historians have been unable to fully extricate themselves from these influences. The more we learn about the Cold War the more pervasive and all-encompassing it seems to have been. Manipulating and manipulative for the respective political agendas of opposing world super powers. “At its core, the contest was about harnessing and steering the ‘winds of change’.” Romero 2014. 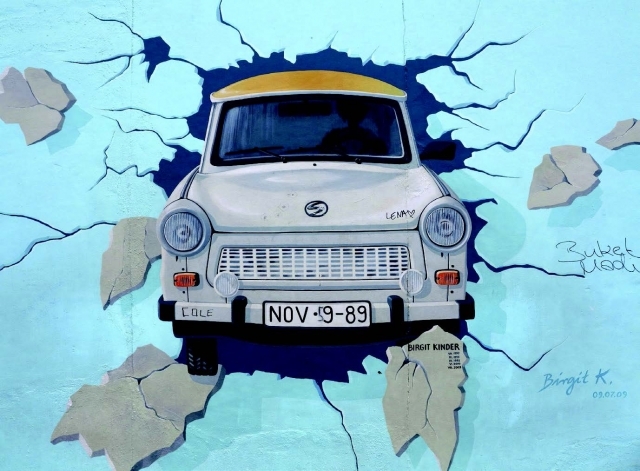 Lawrence Freedman raises the point that we need to “untangle the Cold War from all the other strands of twentieth-century history” and “work out what was distinctive and special about it, and then assess how it interacted with all the other strands”. In other words, we shouldn’t confuse CW events with other conflicts and happenings around the world – which links to Burk’s idea that the CW could still be taking place, whilst also linking with Stephanson’s belief that it was primarily a physical contest. Jussi Hanimaki mocks those who apparently have a sense of nostalgia for the CW; he states, “To be sure, the world changed after 1989. Yet, should one really regret the end of the Cold War because it ended an era of global stability? Ask an average Pole, a Hungarian or a Czech national with experience from the pre-1989 era and the answer is likely to be negative”. As always, this raises the point about perspective and why certain people argue about the end date – and even if the end of the CW was a good/bad thing! The reading this week has supported me in class work with my A-Level students. We are on the coursework element, and a few of them have chosen to explore how far Soviet economic problems were the key reason for the end of the Cold War. Consequently I’ve been immersed in this topic for a while, and reading Robert Service’s “End of the Cold War.” … Romero’s article was also interesting – it reflected my view that the Cold War historiography is becoming a bit of an unwieldy beast with a lot of events from the 20th century dragged into it. Hence our teacher based problem of where to start when planning to teach it! I very much enjoyed the focus of this week’s task, as questions about beginnings and endings are always pleasingly simple at face value and complex on closer inspection. I also find the 1980’s an under-appreciated area in school history and the academic literature compared to the origins (1940s) and high points (1960s) of the Cold War, and as a result it was good opportunity to expand my subject knowledge and unpick some of my pre-existing assumptions. I’m not sure my response to the task went much further beyond “it’s complicated!”, however I did enjoy trying to consider how the phrasing of this international state of conflict and tension as a ‘Cold War’ may have been responsible for part of the difficulty in charting when it started and ended. Our assumptions about how ‘wars’ have clear beginnings and endings may be obscuring some much more complicated historical phenomena, more akin to an empire like the Roman or British, or a periodization such as the Dark Ages or Enlightenment. Certainly it makes an excellent debating point, and I will be using it to frame my final Cold War in Europe lesson. Most of the teachers also now have a broad area of focus for their planned resources, which will of course be shared via the HA website. They are now busy planning their submissions and doing the relevant thinking, planning and research. We at the HA and Birkbeck College would like to express our thanks and sincere appreciation to the teachers for the enthusiasm, dedication and sheer quality of hard work on the programme! Jussi Hanhimäki, “The (really) good war? Cold War nostalgia and American foreign policy”, Cold War History, October 2014, Vol.14, No.4, pp.673-683. This article was written by Ben Walsh for The Historical Association. Read the original article here. 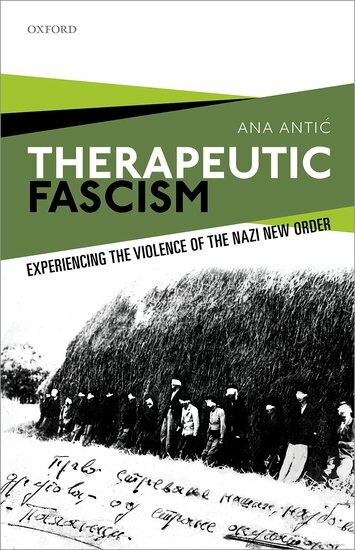 On Friday 19 May we will launch Dr Ana Antic’s new book, Therapeutic Fascism: Experiencing the Violence of the Nazi New Order. During World War II, death and violence permeated all aspects of the everyday lives of ordinary people in Eastern Europe. Throughout the region, the realities of mass murder and incarceration meant that people learnt to live with daily public hangings of civilian hostages and stumbled on corpses of their neighbours. Entire populations were drawn into fierce and uncompromising political and ideological conflicts, and many ended up being more than mere victims or observers: they themselves became perpetrators or facilitators of violence, often to protect their own lives, but also to gain various benefits. Yugoslavia in particular saw a gradual culmination of a complex and brutal civil war, which ultimately killed more civilians than those killed by the foreign occupying armies. Therapeutic Fascism tells a story of the tremendous impact of such pervasive and multi-layered political violence, and looks at ordinary citizens’ attempts to negotiate these extraordinary wartime political pressures. It examines Yugoslav psychiatric documents as unique windows into this harrowing history, and provides an original perspective on the effects of wartime violence and occupation through the history of psychiatry, mental illness, and personal experience. Using previously unexplored resources, such as patients’ case files, state and institutional archives, and the professional medical literature of the time, the volume explores the socio-cultural history of wartime through the eyes of (mainly lower-class) psychiatric patients. Ana Antic examines how the experiences of observing, suffering, and committing political violence affected the understanding of human psychology, pathology, and normality in wartime and post-war Balkans and Europe. At the launch, Ana will introduce her book, followed by contributions and discussion from Professor Cathie Carmichael (University of East Anglia) and Professor Paul Betts (University of Oxford). This will be followed by a drinks reception. The event is free and open to all, however booking is required. To reserve a place, please email reluctant.internationalists@gmail.com. 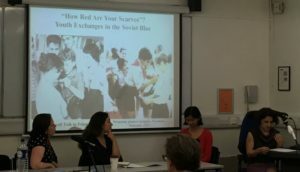 On February 3rd over twenty researchers gathered at Birkbeck to discuss the history of socialist internationalism during the Cold War, a field which has seen increasing scholarly interest over recent years and which has been of particular interest to the Reluctant Internationalists project. As Johanna Conterio (Birkbeck) explained in the introduction to the conference, recent historiography has complicated traditional images of the Cold War as a period of blocked mobility, revealing the extent of cooperation and exchange both behind and beyond the Iron Curtain. The conference aimed to discuss these patterns of mobility, promote dialogue between Soviet and East European historiographies, and explore the global dimensions of socialist exchange. The first panel focused on culture within and beyond the socialist world. Kristin Roth-Ey (SSEES) questioned the traditional focus on the exchange of high culture in the socialist world, arguing that it was less important than the objects of mass culture – Bollywood musicals, Latin American melodramas, radio broadcasts and the press – which circulated between the Soviet Union and the Third World. Soviet cultural production, like its technology and industry, was dominated by the ‘aesthetic of the big’, and it was through this mass culture that ideas about the Second and Third Worlds were exchanged. Paul Betts (Oxford) introduced material from a forthcoming photo exhibition organised by the Socialism Goes Global project on Tito’s diplomatic missions to Africa. Official images of Tito on safari, signing trade deals, watching traditional dancers and opening new hospitals presented an aesthetics of equality, highlighting the fraternal mixing which supposedly characterised relations between Yugoslavia and socialist-leaning Africa, in contrast to the racial hierarchies of the former imperial powers. Simon Huxtable (Loughborough) discussed Cold War television as a transnational phenomenon. Intervision, the Eastern Bloc’s broadcasting organisation, was designed as a vehicle for socialist internationalism, promoting programmes such as the Intervision song contest. But while viewers in Eastern Europe were exposed to programmes from the Soviet Union and other socialist countries, they also had access to western programming, in some cases broadcast directly from the West, in others cases purchased or copied by socialist broadcasters. Intervision thus created a broader space of socialist identity, while at the same time introducing Polish viewers to Sesame Street. Katarina Lichvarova (Courtauld Institute) discussed Soviet avant garde art movements, using the Dvizhenie group to explore the circulation of ideas and exhibitions both within the Eastern Bloc and across the Iron Curtain. 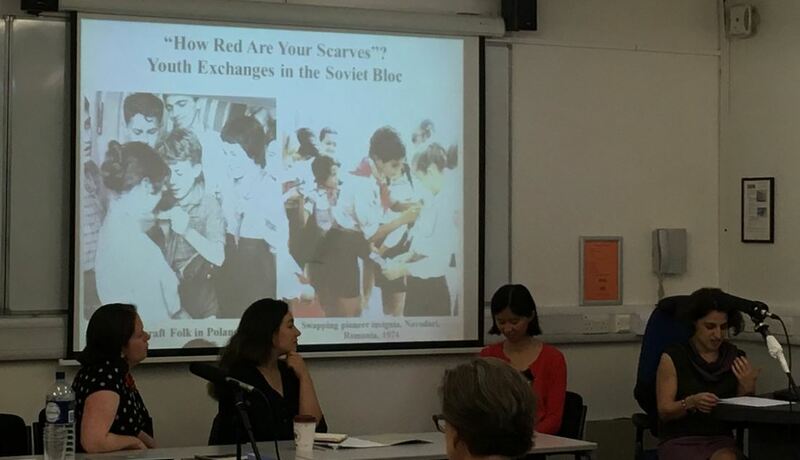 Dina Fainberg (City University) concluded the panel by showing how Soviet journalists presented the US counter-culture protests of 1968 as evidence of the growing hold of socialist values. Appearing alongside reports of the Soviet intervention in Prague, however, these accounts lent themselves to subversive readings and risked undermining the notions of socialist international community they were intended to promote. The second panel shifted focus to trade and exchange. Alessandro Iandolo (Oxford) used relations between the Soviet Union and Ghana in the early 1960s to explore the role of development cooperation in Cold War socialist internationalism. Soviet attempts to promote a model of economic development based on industrialisation and mechanised agriculture appealed to the Ghanaian government, which was keen to gain support for its hydroelectric and infrastructure projects, but were met with suspicion from the former imperial powers in West Africa. Kristy Ironside (Manchester) discussed the difficulties in comparing money and prices in the communist and capitalist worlds. Soviet officials systematically drove down prices for everyday goods from the early 1950s, but were frustrated by their inability to promote these achievements to the rest of the world because of the difficulty of translating socialist economic indicators to western price models. Katarzyna Jezowska (Oxford) showed how the Polish pavilion at the 1956 Damascus trade fair was designed to convey a specific sense of socialist modernity, using modernist aesthetics and technological innovation to promote the achievements of Polish reformers. Yakov Feygin (Pennsylvania) examined the history of ‘mathematical internationalism’ – economic experts in both socialist and capitalist economies united by a belief in the power of maths and computing to secure economic development. The diplomatic thaw of 1967 created a space for Soviet experts to participate in international exchanges on economic reform and development, but their attempts to introduce markets and elements of supply and demand into the Soviet economy broke down in the early 1980s. The third panel explored models of socialist development, focusing particularly but not exclusively on medicine, urban planning and the environment. Kate Lebow (Oxford) presented her research on the memoir-writing competitions organized by Polish sociologists among workers and peasants in the interwar period, which unveiled, among other things, a number of assumptions about the place of home and homeland in global networks, and about rights and justice, in personal narratives. Timothy Nunan (Freie U, Berlin) used the case of the Afghan regime of the 1980s to explore the overlap between socialist and Islamist internationalisms. Rather than making a distinction between the two, Afghan socialists argued that they were also Islamists. Although socialist internationalism was important to them, it also acted as a bridge to wider debates about anti-imperialism and pan-Islamism. Robert Balogh (Budapest) explored Hungarian forestry research into Scots pine, showing how experiments into agricultural, industrial and environmental aspects of pine cultivation circulated between Eastern Europe, Western Europe and international organisations such as the FAO. Jo Laycock (Sheffield Hallam) examined the complex network of non-governmental actors, governmental administrators and recipients of relief and their interactions in post-genocide Armenia. Dora Vargha (Exeter) concluded the panel with a discussion of the polio vaccination campaigns of the 1950s and 1960s, which developed at the intersection of liberal internationalism, international scientific networks, and socialist internationalism. The socialist world was seen as the perfect place to carry out global vaccination trials because of the nature of socialist health system, while international experts argued at the same time that there was ‘no Cold War’ in the fight against disease. The fourth panel continued discussions about the global spread and reach of socialist projects. James Mark (Exeter) discussed changing representation of Cubans in Hungary through photographs and photo journalism, where he detected a shift from Cubans being portrayed as heroes to featuring as poor workers on the periphery. Tobias Rupprecht (Exeter) explored the East European fascination with global forms of free-market authoritarianism in the late 1980s and early 1990s. For many reformers across the region, he argued, ‘the West’ was not the only source of inspiration; economically successful dictatorships as Chile, South Korea and Singapore also provided crucial lessons. Ana Antic (Exeter) talked about Yugoslav psychiatrists’ technical aid missions to Guinea in the 1960s, and considered the extent to which they contributed a Marxist perspective to transcultural psychiatry. Psychiatrists’ discussion of African ‘primitivism’, she pointed out, mirrored their perceptions of ‘primitive’ patients in Yugoslavia itself. In January the Reluctant Internationalists hosted a residential course for the Historical Association’s 2017 The Cold War in the Classroom Teaching Fellowship. Ten secondary school teachers from across the country have been appointed as this year’s Fellows following an extremely competitive application process. The fellowship is being co-taught by leading textbook author, trainer and examiner, Ben Walsh and Birkbeck historians. The two-day residential course marked the first stage of the fellowship. It was designed to provide an overview of some of the most up-to-date academic research in the field, and a forum to discuss key issues around teaching the Cold War in the classroom. can be taken towards it. Jessica Reinisch then provided an overview of the period and discussed some of the key historiographical developments over recent decades. Despite the challenges of incorporating competing interpretations into tight teaching schedules, many of the Fellows felt that the Cold War provided the ideal opportunity to introduce students to complex historiographical concepts. David Brydan followed this up with a session on Cold War geographies, using a series of maps to explore the different ways we can think about the geography of the Cold War, and discussing how historians have shifted perspective in recent years away from simple models of bi-polar conflict towards a more complex, global understanding of the Cold War. Johanna Conterio’s session explored the question in everyday life in the Cold War, using examples from housing, agriculture and environment in the Soviet Union to illustrate recent debates about consumption, welfare and living standards. Jessica Reinisch and Johanna Conterio then combined to lead a discussion on the legacies of the Cold War, a theme which offers a lot of potential to engage students with a topic already regarded by many as ancient history. 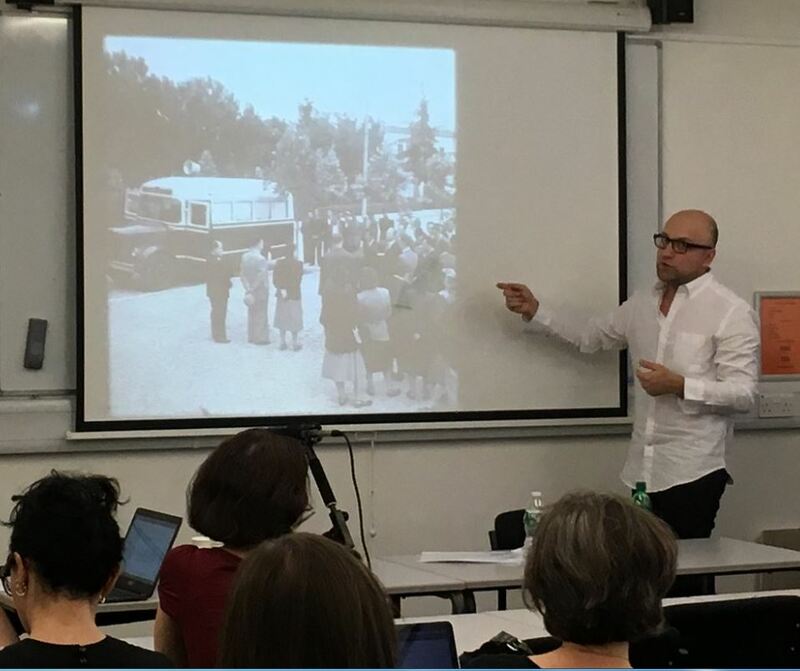 The course ended with two final sessions from Ben Walsh on the potential of technology in teaching the Cold War, particularly given the vast range of sources and materials available online, and on creating resources. As part of the assessment for the Fellowship, participants will be required to create classroom resources on the Cold War which can be used by other teachers. These resources will draw on both the content of the residential course, and on the online course which the Fellows are currently completing, which explores some of the key topics of Cold War history in more depth. Details about how the online course has developed and the lessons Fellows have drawn from it are available in the series of blog posts recently published on our website and on the Historical Association website. The Cold War in the Classroom Teaching Fellowship forms part of a series of public engagement activities the Reluctant Internationalists project has been undertaking this year, and has been funded by our recent Wellcome Trust public engagement grant. Organised in collaboration with Dr. Brigid O’Keeffe from Brooklyn College, CUNY, the Reluctant Internationalists project’s final conference will bring together historians, anthropologists, literary scholars, linguists, and scholars in related fields, to debate the languages of internationalism. The conference aims to shed light on the centrality of language to people’s past pursuit and experiences of internationalism. For any agents of internationalism, language presented a wide variety of challenges and opportunities. It imposed obstacles and provided avenues to mutual understanding and collaboration among diverse peoples. The relative successes and failures of past internationalist projects in large measure owed to participants’ ability to effectively communicate across not just linguistic, but also political, cultural, economic, and professional boundaries. This fundamental and literal question of (mis)communication has dramatically shaped the lives of peoples variously confronting the global realities or pretensions of their milieus. The conference is free and open to all, however spaces are strictly limited and booking is required. Please reserve a place here. Details of the conference are outlined below or to download the conference programme in full, click here. Week seven of our Teacher Fellowship Programme, ‘The Cold War in the Classroom‘ in collaboration with the Historical Association, addressed the Cold War in Asia, with discussions particularly focusing on China. In the following article, originally published for The Historical Association, Ben Walsh summarises the discussions. 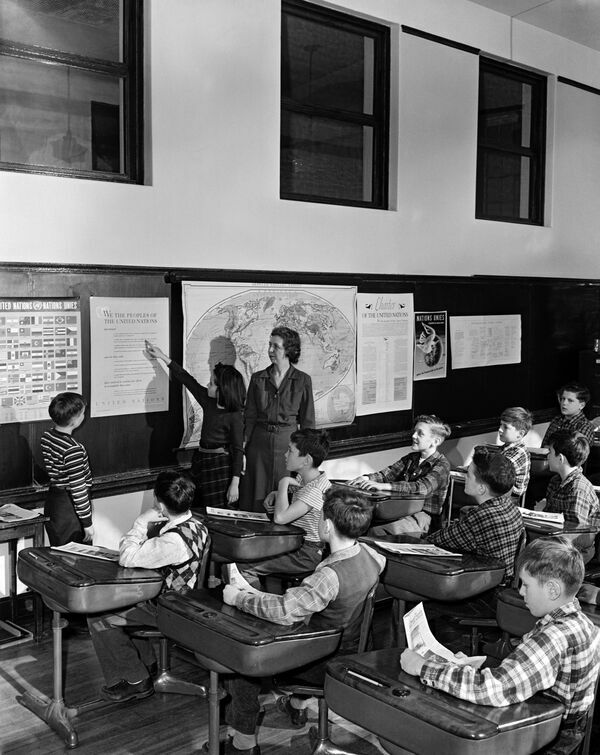 Many teachers teaching the Cold War find themselves with that nagging sensation that because of the restraints of time and or curricula they don’t manage to convey to their students the full breadth and scope of the Cold War. This is particularly true of the Cold War in Asia. Some of us dip into the Korean War, and perhaps more of us investigate Vietnam in more depth. But there is the elephant in the room – China. The aim of this week’s reading and discussion was to try to get a sense of China’s role in the Cold War, particularly its role in shaping political culture internationally. The teachers were asked to summarise how an understanding of China helped to improve understanding of the Cold War in Asia and beyond. They were asked to read and listen to the work of Julia Lovell and Glennys Young (references below). Julia Lovell claims Global-Maoism had effects in Western Europe, the US and Singapore, while Anthony Best also argues that the PRC had a major impact on Third World countries. According to Best, after 1959 “the PRC moved towards a more divisive policy towards the Third World” (which coincided with denunciation of the non-alignment movement). Chinese leaders spread anti-imperialist propaganda and supported national liberation movements; this led to strong ties with Jakarta, Burma, Cambodia, Pakistan and Vietnam. However, China’s relative economic poverty (in comparison to the Super Powers) meant they weren’t always able to offer as much financial support as they would have liked, for example North Vietnam turned to the USSR for military equipment because the Chinese couldn’t compete with American technology. However, a less obvious influence of Mao on the Cold War as written by historians is his cultural and ideological influence. For those around the world searching for a path outside of the binary world-views of the USA and USSR Mao seemed to offer something genuinely anti-imperialist, egalitarian and empowering. This, inspired not least by his deliberate propaganda drive, influenced countless movements across the world to challenge authority in their own contexts – creating problems of opposition, control and dissent particularly in capitalist countries. Mao therefore played a unique role in the Cold War, offering an alternative source of support and inspiration to those who were disillusioned with US and Soviet power politics. I likewise, having taught China at IB, was in turns shocked and flummoxed by the response of Western countries to the Cultural Revolution – I guess I’ve always seen it as a cynical attempt by Mao to solve his internal political problems in China, rather than an earnest means of spreading revolution abroad. I always had Mao pegged as a ‘China First’ revolutionary after the stamp of Stalin, rather than a continuous revolutionary after the mould of Trotsky. However, when I thought about it more, especially in the context of Europe in 1968 (and Civil Rights in America after the death of MLK), it made sense that people there were looking for a movement to link themselves to. This demonstrates much more about the disillusionment in Europe and the effectiveness of Maoist propaganda than it does about the intentions of Mao in starting the Cultural Revolution. The first and most obvious value in studying China and its revolution is to see how the USSR attempted to foster, support, and eventually control another major communist revolution. As Glennys documents in his chapter focused on a Chinese student’s reflections of his role in the USSR, even as the government’s of the USSR and PRC drifted apart, there was still a great deal of cultural exchange until January 1967 when all Chinese students were ordered to leave the USSR by the PRC. While many are keen to argue the Sino-Soviet split was inevitable, at the time Stalin and Mao seemed determined to support one another, especially on the topic of supporting burgeoning communist revolutions in South-East Asia, such as Korea. This also continued beyond Stalin’s death via economic support and the sharing of Russian Industrial technology and eventually China’s nuclear capabilities. As a result, in order to fully understand the USSR’s approach to the Cold War following the failure of the Berlin Blockade, it is crucial to take into account China. Otherwise, as many students do, it is easy to assume the USSR becomes a passive actor until the 1961 Berlin Wall crisis. Both the Soviets and the Americans considered China to be of such importance that they made decisions that would affect the trajectory of the Cold War. China’s fall to communism in 1949 sent shock waves through a US administration that found itself accused of having ‘lost China’. The fear and witch hunts of the McCarthy era would follow, in part influenced by the shock of the loss of the fabled ‘China Market’, leaving a legacy of fear and suspicion, a victory for the hawks who were then able to influence policy towards Cuba and Vietnam. Following the disaster of Vietnam, the US again confirmed the importance of China with rapprochement and Nixon’s 1972 visit. By the late 60’s both the US and China needed each other. Mao and Khrushchev’s split on the policy of ‘world revolution’ and its conflict with peaceful co-existence led to the breakdown in the relationship between the two countries. It also marks a split in Communist theory in the east, arguably weakening it. This led to a further fronts of the Cold War, e.g. the border war in 1959 between the Soviet Union and China where there were indications of the Soviet Union using the atomic bomb (a very dangerous moment in the Cold War after the Cuban Missile Crisis). Dr Julia Lovell argues that the split paved the way to the end of the Cold War as it weakened the global communist cause. Furthermore it lead to Soviet interest in Afghanistan which weakened its position according to Lovell. Therefore China had an insurmountable impact on the relations between the Americans and Soviets towards the end of the Cold War. The discussions were very satisfying in the sense that the teachers were beginning to think about their practice and how the up to date academic work they had been looking at might shape future practice. This week’s readings have reinforced my belief that I will need to do more to include China within wider negotiations in the later Cold War, and ensure that I devote more time to the USSR’s reaction to and treatment of the PRC … the solution is almost certainly not to take excessive time away from my study of the Cold War in Europe, but to deepen my understanding of the PRC so as not to unnecessarily simplify or caricature their actions when making my brief references to them, as well as finding more opportunities to make those references where appropriate. Most of the teachers also now have a broad area of focus for their planned resources, which will of course be shared via the HA website. I am still considering investigating ways to teach the historiography of the Cold War more effectively, by teaching it alongside the content, exploring the interpretations in their context. In doing this I would also like to try to bring in the experiences of ordinary people from both sides of the Cold War divide, to encourage students to challenge the official narratives and the orthodox views. I don’t know if this is too much or even if this would work but of course with more exploration this will become clear. There are many more areas of the Cold War that I would like to explore, but it is clear to me that this is the part of the GCSE course that my students require the most help with. I was surprised to see Rudi Dutschke’s name pop up again this week as a proponent of Mao’s ideology in Europe – this has added to my feeling that my resource will tackle introducing students to the Cold War through the stories of different players in the conflict. We discussed at the residential the challenges of students trying to define the Cold War – I’d like to find a range of representative individuals who students can use a starting point for identifying key features of the Cold War, before comparing them with what other students have found out from their similar stories. This would enable them to work out the essential features of the Cold War whilst also acknowledging its diversity. Once they’d finished the topic they could come back to the stories and add in context of what they’d learned to flesh out the stories and see how representative they were of their understanding of the conflict. The resource idea will hopefully be based on the kitchen debate and everyday life. I found this area particularly interesting. I think students would find a social/economic aspect of the usually political Cold War debate worthwhile. As I am focusing on KS3 I believe this area would allow students to access a source based lesson investigation connected to an interpretations question.